Alanis Morissette in Montreal or Quebec City? Inform me about the next events for Alanis Morissette. Enroll yourself to our priority waiting list for Alanis Morissette to be alerted when new tickets are available. Filling this form doesn't engage you to any purchase. Alanis Morissette will be performing at the Metropolis, in Montreal, on October 16, 2012. 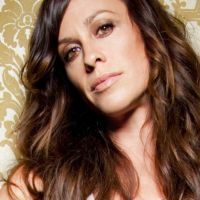 There is a new album coming for Alanis Morissette, entitled Havoc And Bright Lights. This eighth studio album for Alanis will be released on August 28, 2012. The last time we saw Alanis Morissette in Montreal was in October of 2008. She performed at Place des Arts. Don't miss this new opportunity to see the great canadian pop singer live in Montreal!